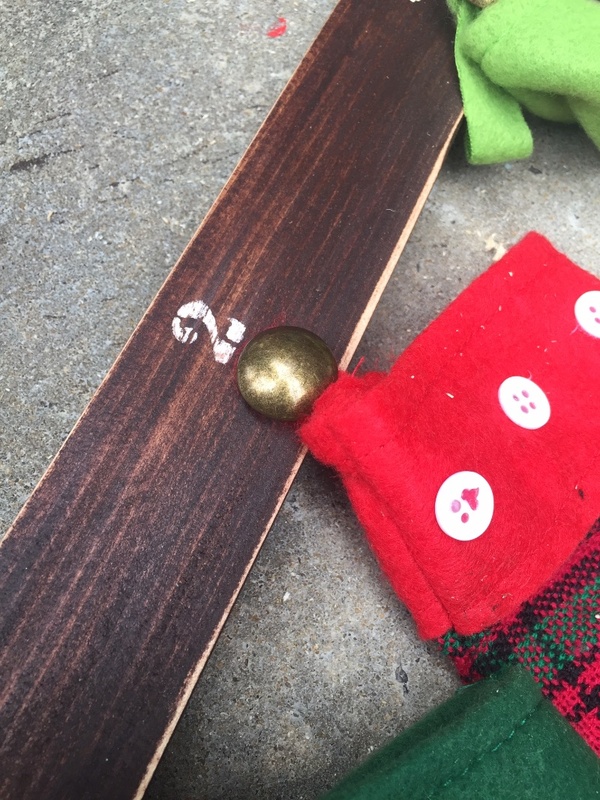 Once again, Pottery Barn inspired us to do a holiday advent calendar. 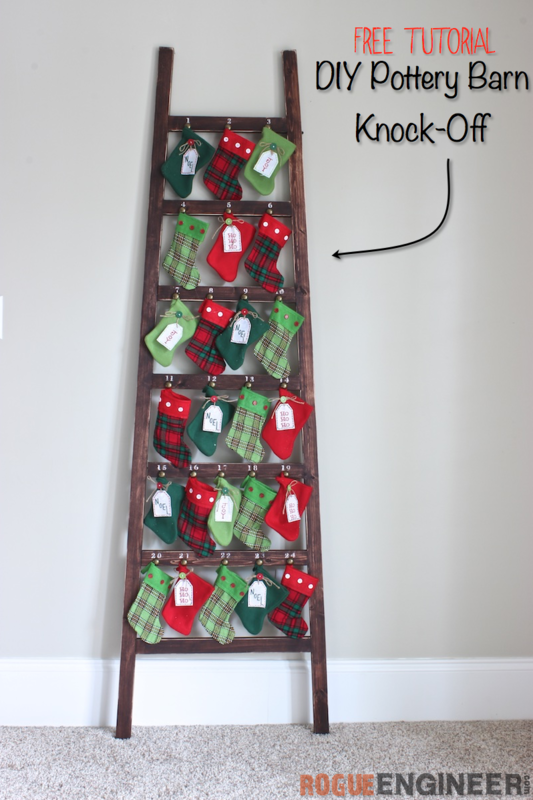 Last year we made this PB knock-off advent calendar and this year we decided to knock-off their stocking ladder advent calendar . Let’s face it, who wants to spend $199 on holiday decor, when you can make is for less than $20?! Just think about all those extra presents you can have under the tree this year with all that money you will be saving. So let’s get building! 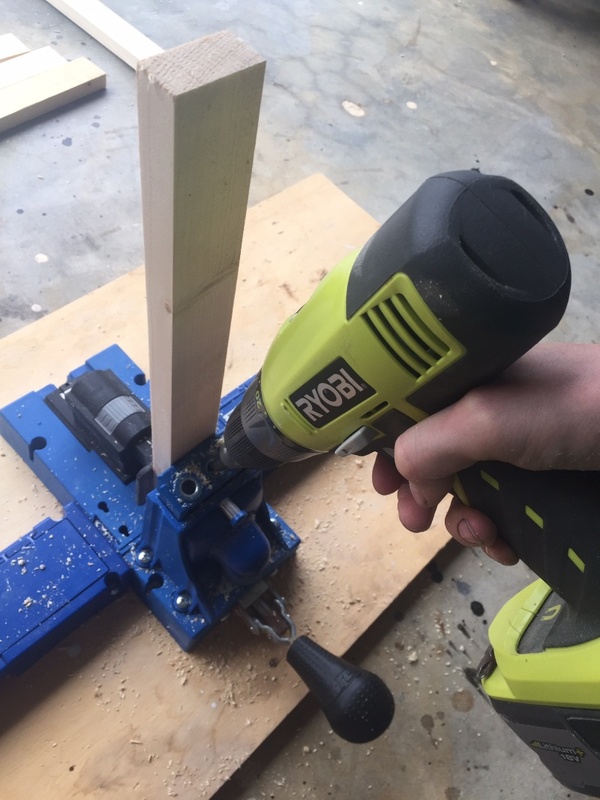 Use the diagram below to cut your 1×2’s. 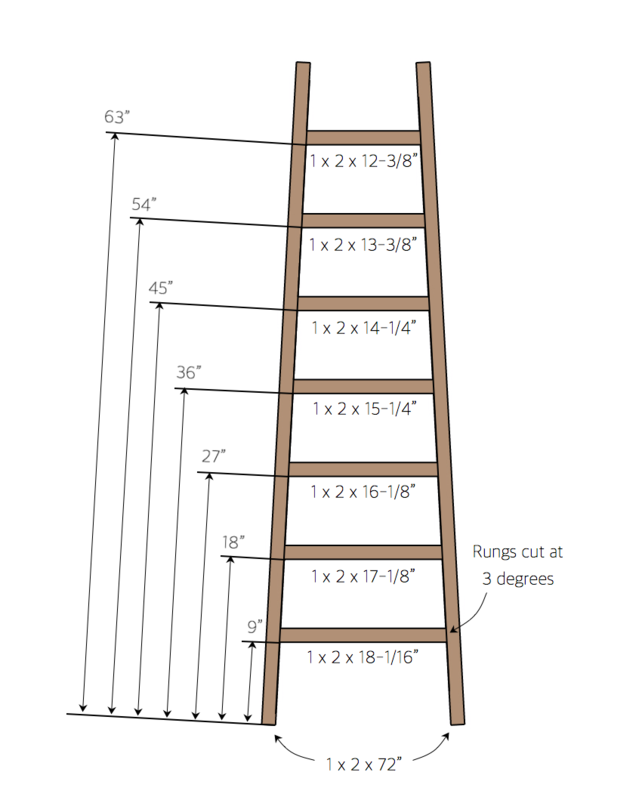 Note: the rungs of the ladder at cut at 3 degrees. 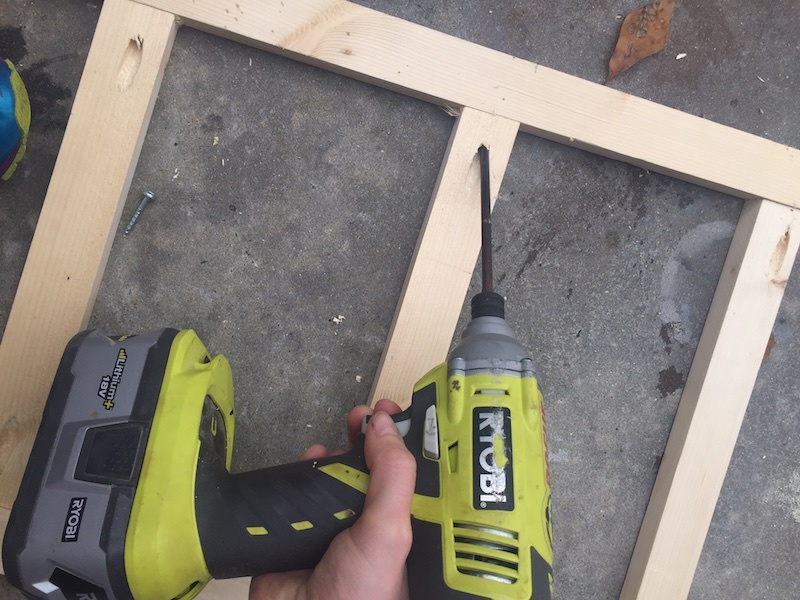 Drill pocket holes on each side of your 1×2 rung pieces. 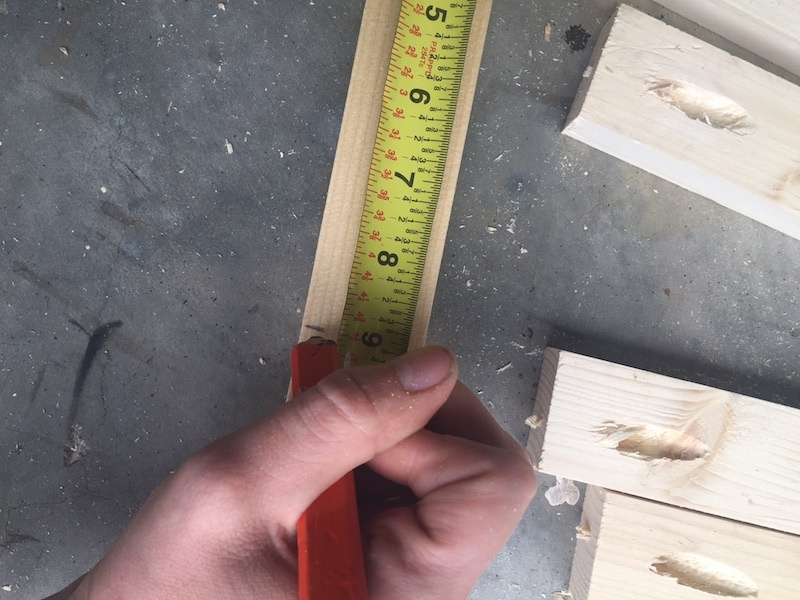 Using a tape measure and pencil, follow the diagram and mark where each rung will be placed. 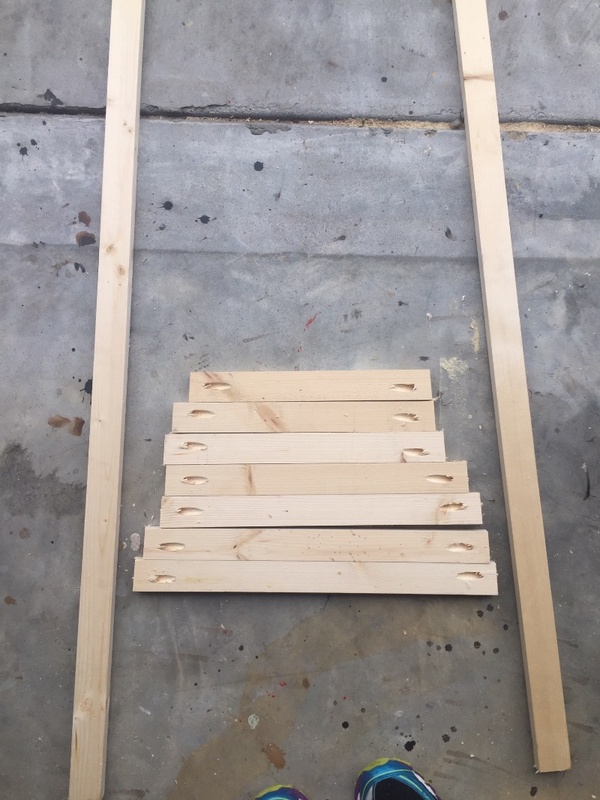 Then using 1 1/4″ screws being to assemble your ladder. 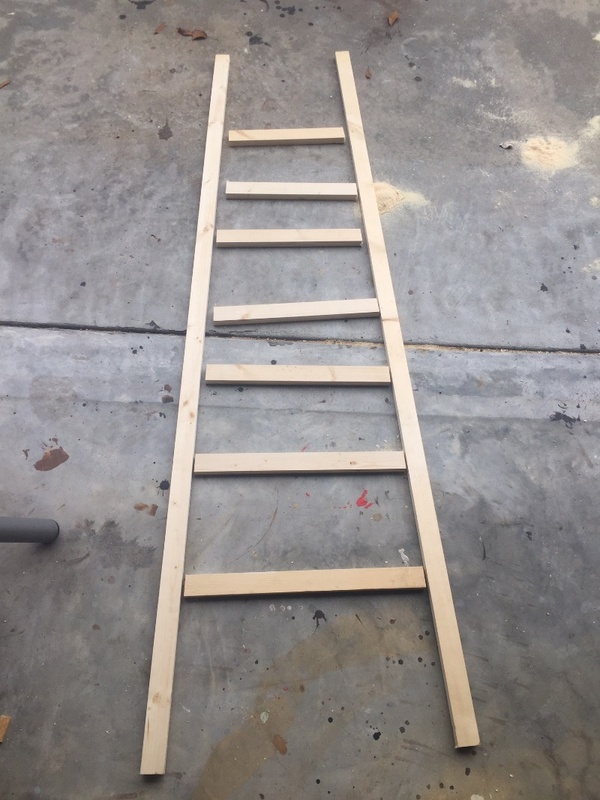 Using 220 grit sand paper, go over the ladder until smooth. 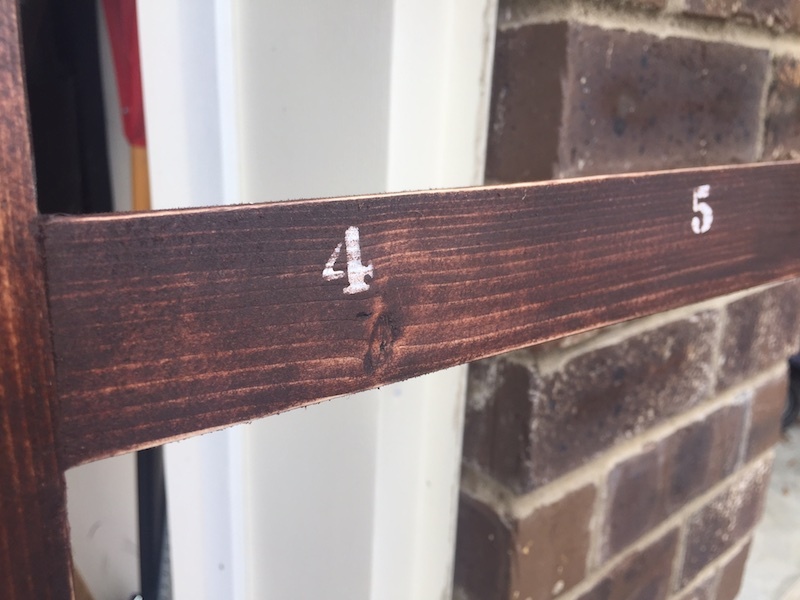 Before you apply stain, make sure ladder is free of any debris. 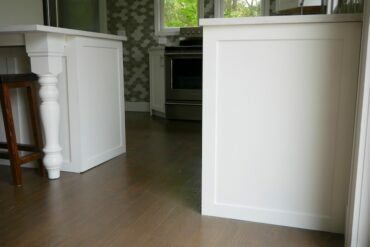 Using a stain rag I applied the colors Carrington by Varathane. 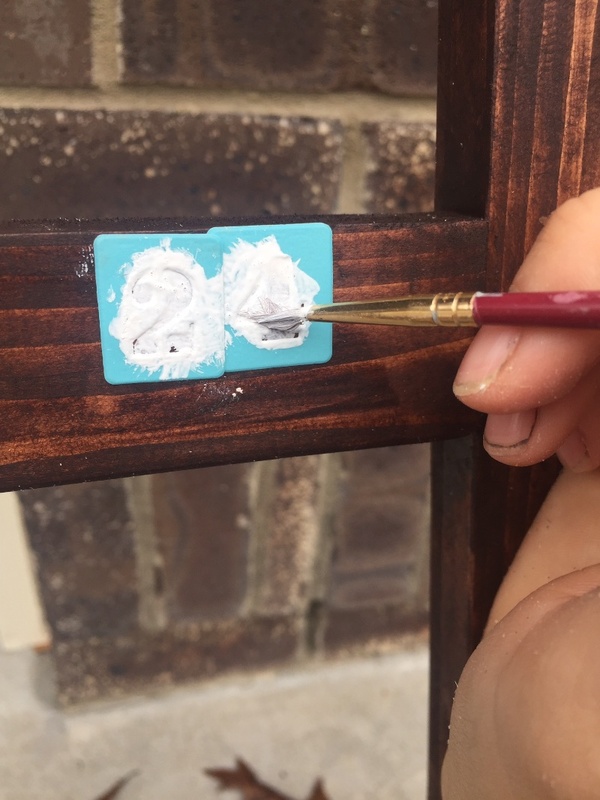 Once the stain was dry, I stenciled on m numbers using a small brush and white acrylic paint. 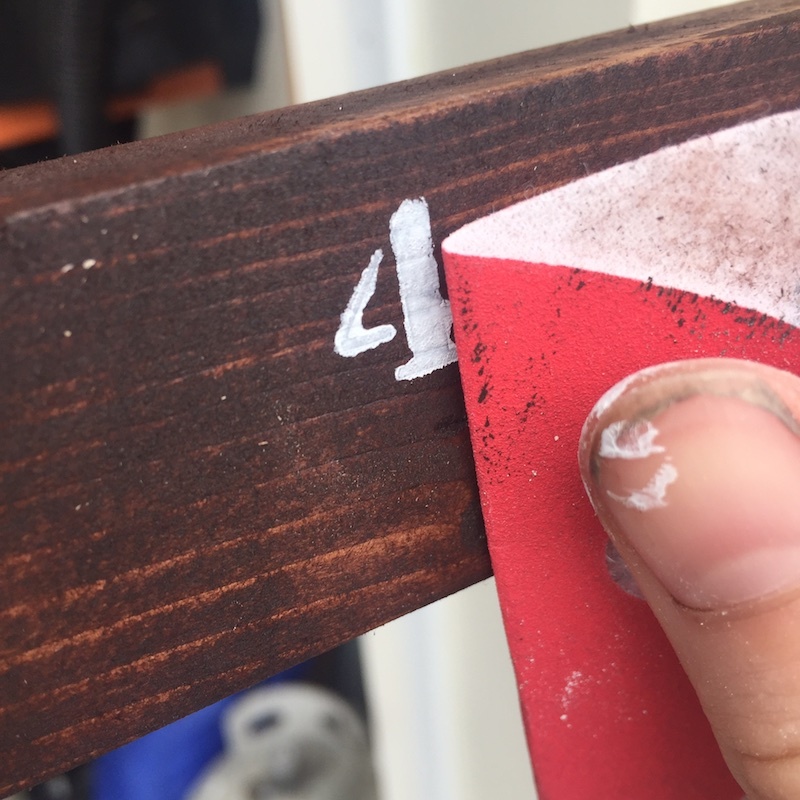 Once the number were dry, I then took 220 grit sand paper to them to distress the numbers as well as the edges of the ladder. I found my stockings at Hobby Lobby (50% off y’all!) I did little mix and match since they didn’t have 24 of the same, but it just adds character. 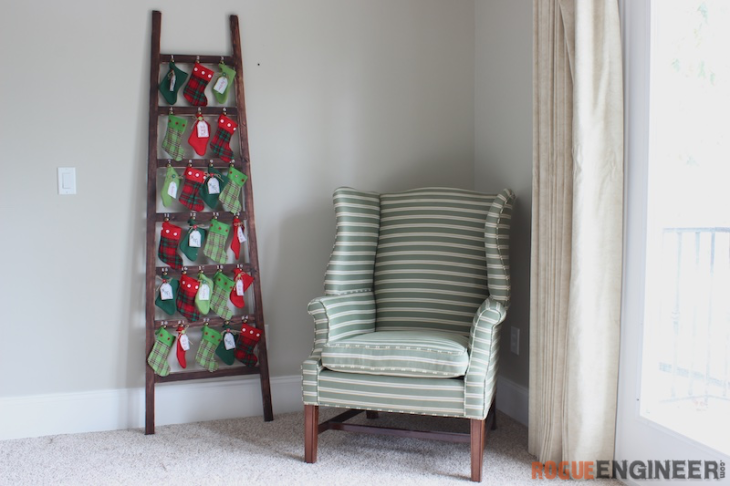 I decided to attach my stocking to the ladder because since I had to mix and match, not all the stocking were the same length. 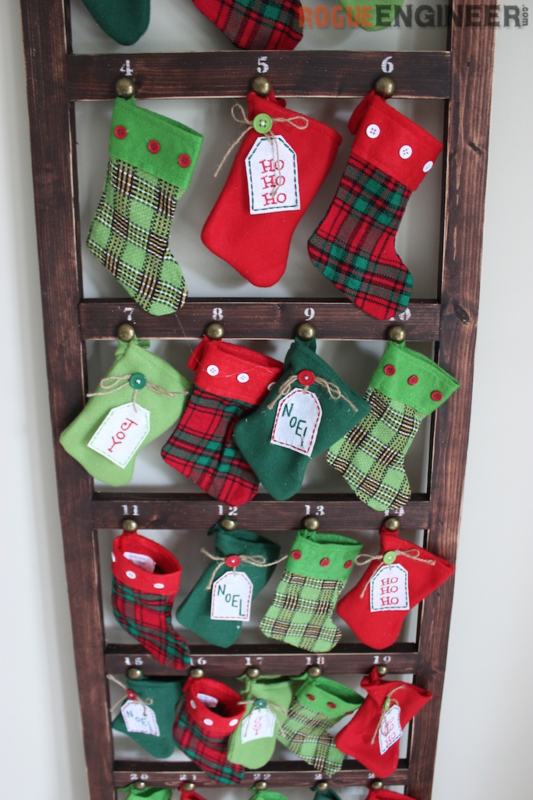 If all of your stockings are the same, then you can simply nail in the large nail heads and hang the stockings from the. 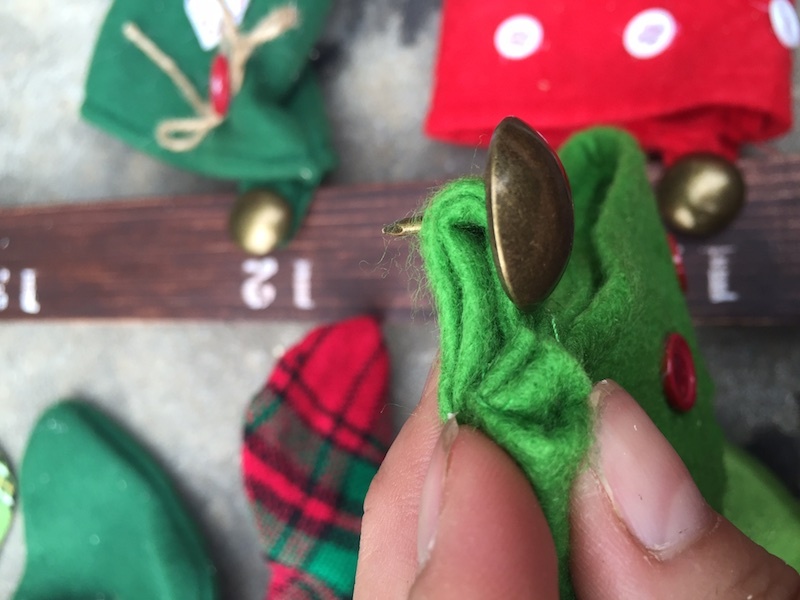 Or you can do what I did, and attach the stocking to the nail head first and then attach to the ladder. 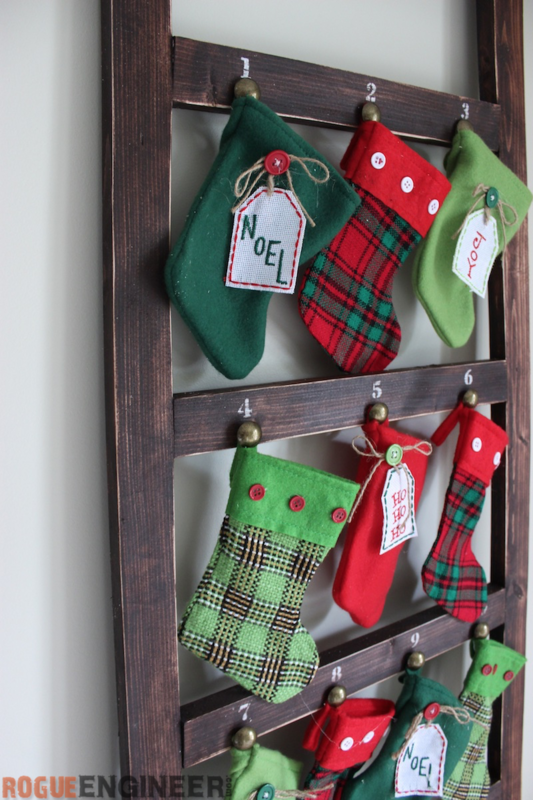 As much as I love the PB version of this advent calendar, I have to say I might like mine a little more! Plus the cost was much less! It’s a win win. Hope you enjoyed! I am a busy stay at home mom from a small town in Michigan. 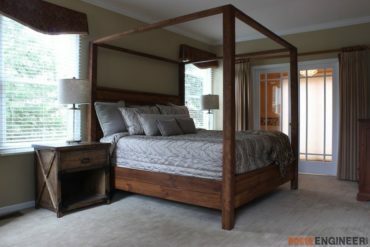 My husband, Jamison, drug me down to Georgia and I have been turning a house into a home ever since. 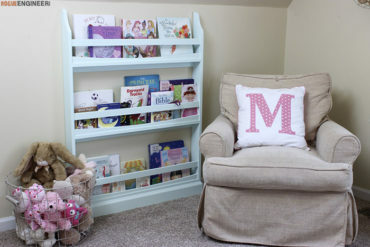 After a long day of juggling our growing family I love to unwind with a little DIY decor and a good glass of wine.